Step into the world of fragrance and discover all the possibilities for creating a warm and welcoming home. From the inviting displays of our newest fragrances and familiar favorites, to home décor accessories, you'll experience America's best loved candles first hand. You can see, hold, and smell the true-to-life fragrances and find the one just right for you. Our knowledgeable, welcoming staff is ready to help you find the perfect gift, a favorite in our Treasures area, or a new scent. As always, if you can't find it our store, we'll help you order it online. Stop in and see us. 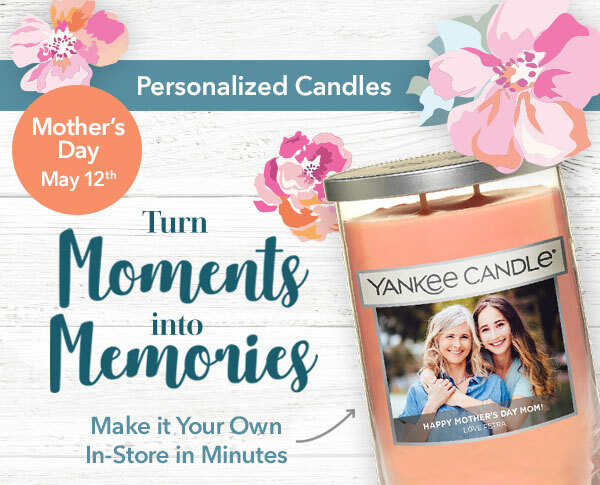 At Yankee Candle, you're always family. If you have an urgent request, please call the store directly at 413-533-4600. Store hours may vary during holiday periods. Please call store to confirm. Happiness Guaranteed. Love it or exchange it-returns are just that simple. We want you to love everything you purchase from us—candle, fragrance, home accent. If for any reason you don’t—even if you just change your mind—simply return it to any of our 500+ Yankee Candle Stores for a full refund or exchange. © 2018 The Yankee Candle Co., Inc. All Rights Reserved.